Daniel Adler (New York) - Book Appointment Online! 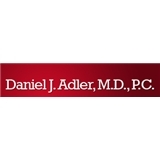 We welcome you to Daniel J. Adler, M.D., P.C. a private medical practice in the heart of Midtown Manhattan. Our office combines three decades of experience and expertise with state of the art facilities for all aspects of diagnosis, treatment and continued care for digestive diseases and endoscopy. The office is relaxed, private and staffed with a team of dedicated professionals who everyday make our most anxious of patients feel calm and among old friends. If you are an existing patient, please make note in your appointment comments. We look forward to seeing you. Great doctor! I've seen him a few times over the past several years and he is always extremely professional, informative, friendly, and discusses any questions you have. Great staff as well. Highly recommend!